Being the foundation-addict that I am, it was time to share with you my foundation collection! I have quite a few of them in my makeup stash, most of them already have dedicated reviews either here on the blog or on my YouTube channel, so if any of them tickles your fancy, check the links below to find out more about them. If you want to watch me gush about Giorgio Armani Luminous Silk one more time, or talk about my frustration with Nars Sheer Glow and By Terry Terrybly Densiliss, then press the play button below or click here to watch the video. 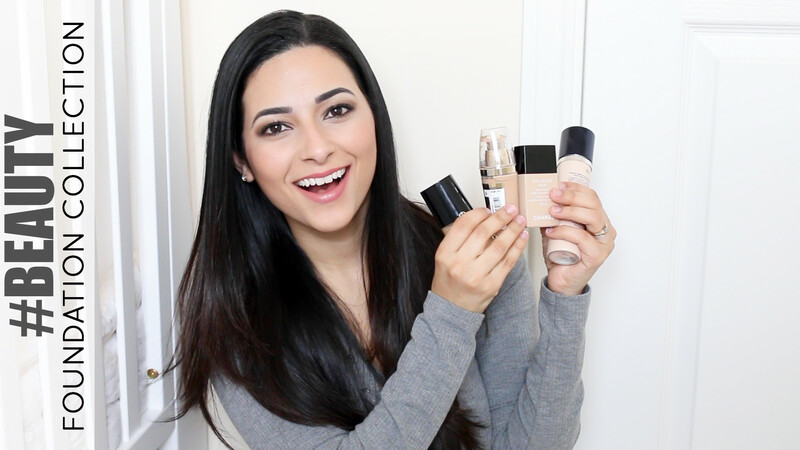 Scroll down to browse all the foundations I mentioned on this video. If you would like to see any other ‘collection’ videos, please leave your suggestions on the comments below! Don’t forget to like the video if you enjoyed watching it and subscribe to my channel to be notified as soon as I upload a new video. Face Primer: MAC Prep + Prime or Gosh Primer Cream? Thanks for the video Ysis! The chanel vitalumiere aqua seems the most adapt to my needs!